Biff! Bam! Ker-Sploosh! Adaptations of comic books slap the summer blockbuster movie windshield like so many bug guts. We can’t get enough of them, love ‘em to death, but which comic book flick has left the biggest mark? I mean, which comic book movie is the best of all time? Importance will play a role, but we don’t want to get too hung up on ceremony. We’d rather have movies on this list that we can watch more than once. Sure, we’ll have some older films, but those oldies must stand the test of time. In short, they must be good. We’ll limit the movies to one per franchise, that way we won’t get a list of nothing but Superman. 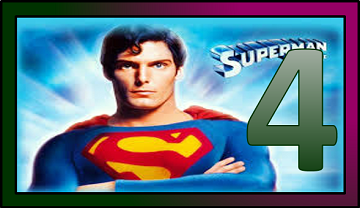 If you haven’t seen Superman IV: The Quest for Peace, you should. It’s pure comedic gold. We’re also only including franchises that originated in comic books, so no Incredibles. Incidentally, I’d pick the Incredibles as my number one super hero movie: it’s the Fantastic Four done right. This was a tough list to make because there are a lot of movies to take into consideration and some just barely missed the list. Too bad we don’t make top tens. Without further ado, here’s our top five comic book movies. What? How dare we put Winter Soldier at number five? Don’t we know that countless critics have dubbed it the greatest comic book movie of all time? Yeah, Captain America: The Winter Soldier is great, that’s why it made our list, but there are four other movies we liked more. 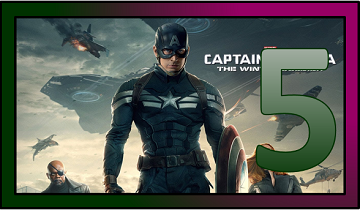 The second Cap movie has some flaws – gasp – and that’s why it’s at our five spot but let’s discuss what it did well first. We don’t want to get too negative – this is a Top Five list – but we’ll share why Winter Soldier’s this far on the list. It leans too much on one comic book cliché: characters returning from the dead. Winter Soldier abused this cliché so much that when a character died in Avengers: Age of Ultron, fans asked Joss Whedon how the character in question would return from the dead. On a more personal note, I make three kinds of lemonade before watching Winter Soldier and I drink a different type each time someone returns from the dead. It’s a great game and yet the movie still holds up, and it follows the Winter Soldier story arc in the comics to the letter. You will believe a man can fly. That tagline was epic and Superman delivered on that promise. Sure, it’s dated, and Christopher Reeve’s costume is straight up seventies, but you can’t beat the elegance of this film. It’s Superman at his truest and purest, and the symbol on his chest doesn’t stand for hope. Sure, the scene where Supes turns back time by reversing the Earth’s rotation makes no sense (Superman would’ve killed everyone on Earth by pulling a stunt like that), and we could’ve gone with Superman 2, which was just as fun, but nothing beats the original. This one came out of nowhere. 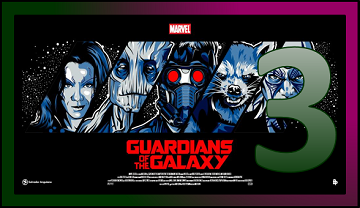 I think the fact that not many knew of or had expectations for Guardians of the Galaxy helped it become the breakout hit of 2014. We had no idea who these people or places were, so Guardians set the ground work with a compelling narrative. The cast was perfect. The writing stellar. Heck, we even got one of the greatest soundtracks for a movie in years. Who didn’t want their own copy of The Awesome Mix volumes one and two? Guardians did tap the anime trope of “the power of friendship conquers all,” but it worked for these characters. The guardians didn’t get along so well for the majority of the movie and Guardians spent plenty of time deconstructing – and making fun of – other tropes and clichés. Plus, it has a gun-toting raccoon. We are Groot. That is all. Yes, Men in Black was a comic book before it became a movie and for those of you keeping score, it’s also the third Marvel movie on this list. Okay. Men in Black was part of Marvel’s Malibu Comics imprint, but that’s semantics. We were out of this world for the third movie on our list and we stay out of this world with MiB. Men in Black gave Guardians of the Galaxy the blueprint for fusing comedy with intergalactic action, but it added a buddy cop element to the mix. We haven’t seen two cops this entertaining since Lethal Weapon, and we haven’t seen one as funny as MiB until Hot Fuzz. 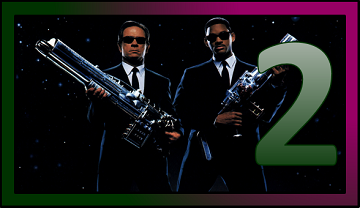 Men in Black came close to earning our top spot, but it came just short of another classic comic book movie. This is the film that started the comic book movie craze. No one wanted to touch tights and spandex after Christopher Reeve prior to Batman, and Michael Keaton may still be the one actor who truly captured Bruce Wayne – besides Batman: The Animated Series’ Kevin Conroy. We know we’ll catch flak from Christian Bale lovers. 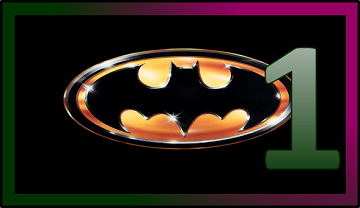 We love Bale’s portrayal of the Dark Knight too, even though he sounded like he needed a throat lozenge, and Heath Ledger gave us an Oscar-worthy performance as the Joker, but 1989’s Batman nailed the Caped Crusader. Any Tim Burton movie that makes you forget that Tim Burton directed it deserves our top spot. Batman honored the source material. Did we get our list right? Let us know and give us more ideas for future Top Fives.